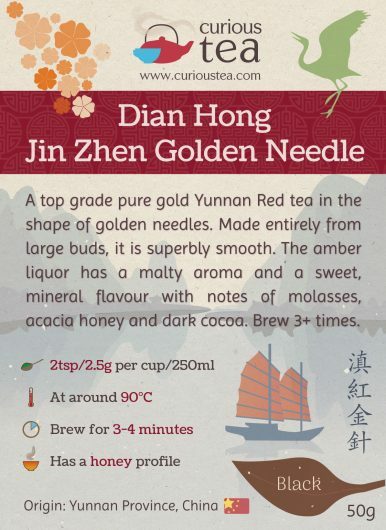 Dian Hong Jin Zhen Golden Needle is a top grade pure gold Yunnan Red tea in the shape of golden needles. Made entirely from large buds, it is superbly smooth. The amber liquor has a malty aroma and a sweet, mineral flavour with notes of molasses, acacia honey and dark cocoa. 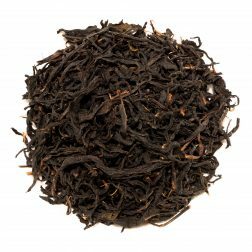 Dian Hong Jin Zhen Golden Needle (滇紅金針) is a brilliantly characterful high grade black tea from Feng Qing County of Lincang Prefecture, Yunnan Province. 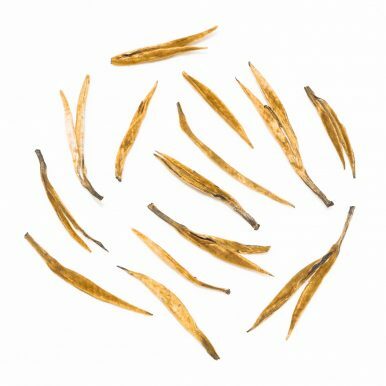 It takes its name from the appearance of the leaves that consist of only large buds, resembling golden needles. 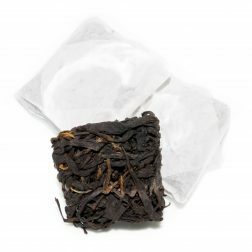 It has a classic Dian Hong, or Yunnan Red, character that is typically sweet, malty and chocolaty. This particular batch is from the Autumn 2017 harvest. Feng Qing County of Lincang Prefecture is a well-known area for the production of tea. 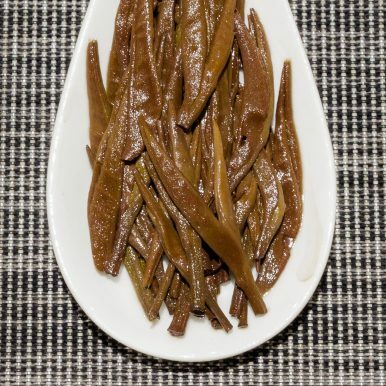 Traditionally and historically most production consisted of pu-erh teas. 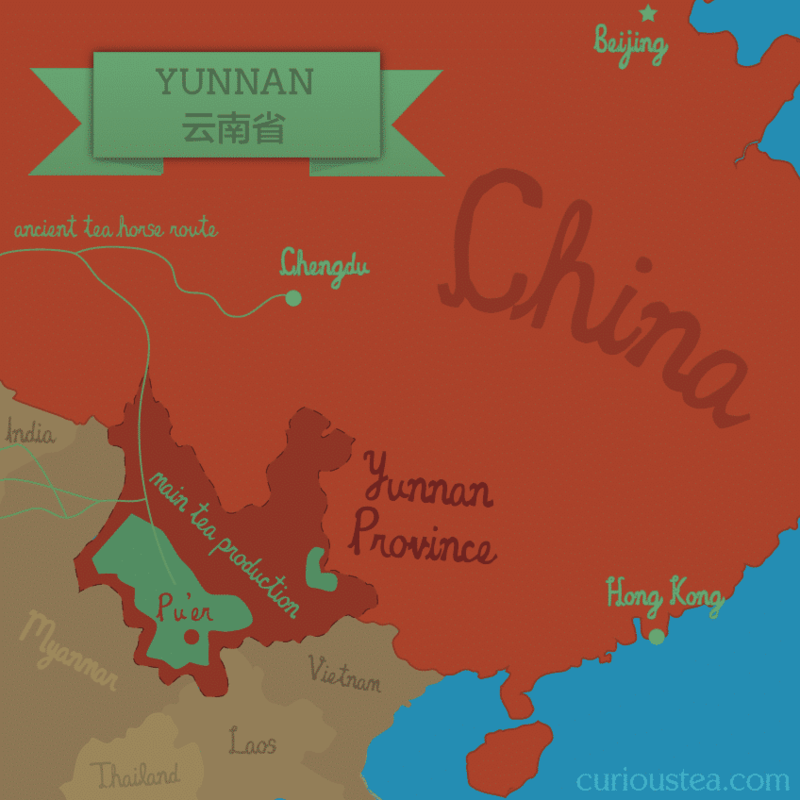 However, this area is also where Yunnan black tea started being produced, around 1938. Starting in Feng Qing County, black tea production quickly spread throughout the whole of Yunnan Province due to the fast rising popularity of Yunnan Red teas. This was largely due to Dian Hong’s characteristic deep and satisfying flavours that are sweet, malty, smooth, chocolaty and non-astringent. 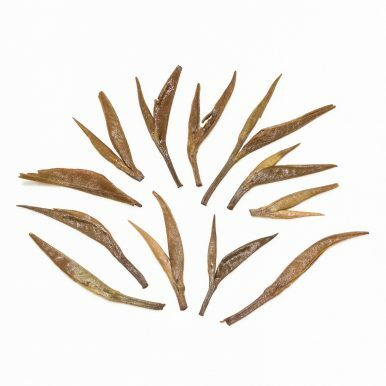 While many Dian Hong black teas are produced from popular Camellia sinensis varietals, this Dian Hong Jin Zhen Golden Needle is unique as it is produced from an unusual hybrid referred to as Feng Qing #17. 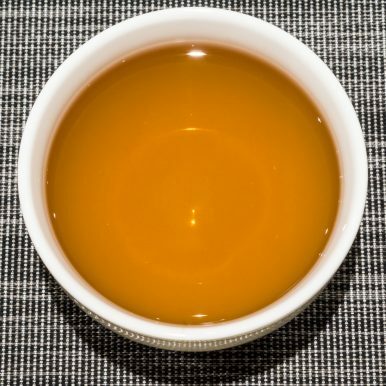 This hybrid was introduced only in the past 20 years or so and it comes from crossing Camellia sinensis var. assamica with a wild strain of local Camellia sinensis var. taliensis. Both of these varietals are native to Yunnan Province and are both either grown wild or can be cultivated. This hybrid has been specifically selected to achieve the best characters from both of the varietals. It combines the flavours of taliensis, which tends to be heavier on the cocoa flavours with those of assamica, which tends to be maltier and sometimes heavier on the tannins. 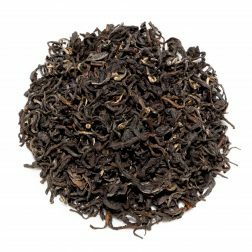 The resulting tea is best of both worlds, featuring a sweet mineral and slightly malty profile with complex notes of dark chocolate. 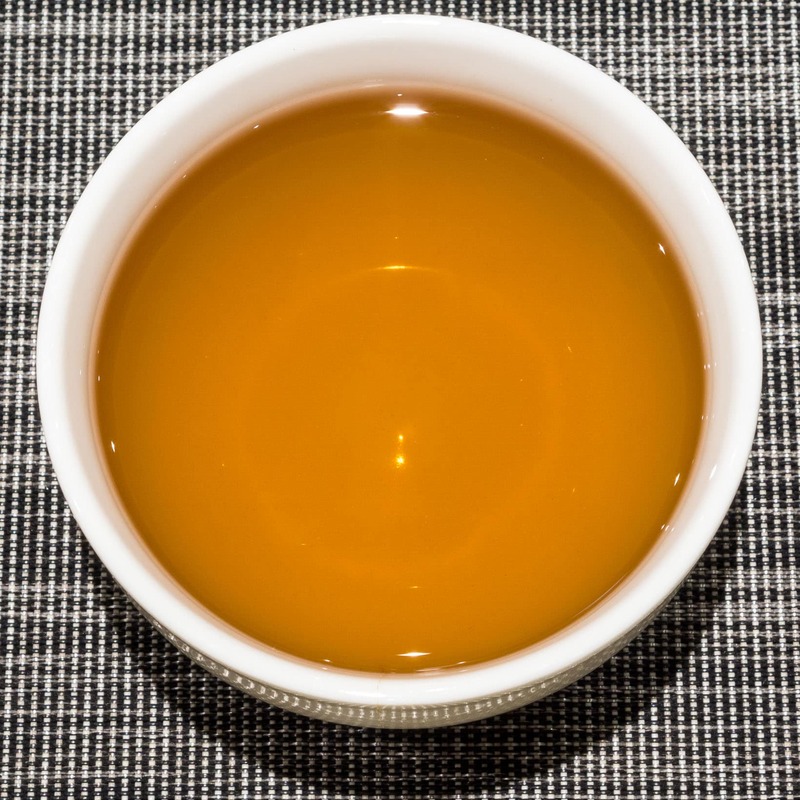 It is further possible to appreciate the nuances of this tea when you compare it to those made purely from the assamica and taliensis varietals. 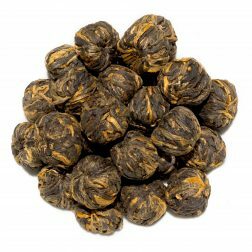 For a good comparison, you may want to choose our Dian Hong Da Li Cha that utilises only plants of the taliensis type and our Dian Hong Jin Ya Golden Buds that utilises only assamica plants. When comparing the three side by side, it is possible to appreciate the unique flavours that are typical of each varietal. 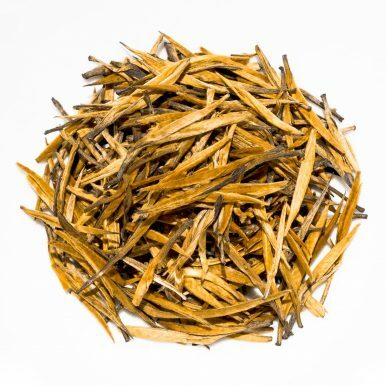 This Dian Hong Jin Zhen Golden Needle black tea has dry golden leaves that consist of pure buds. 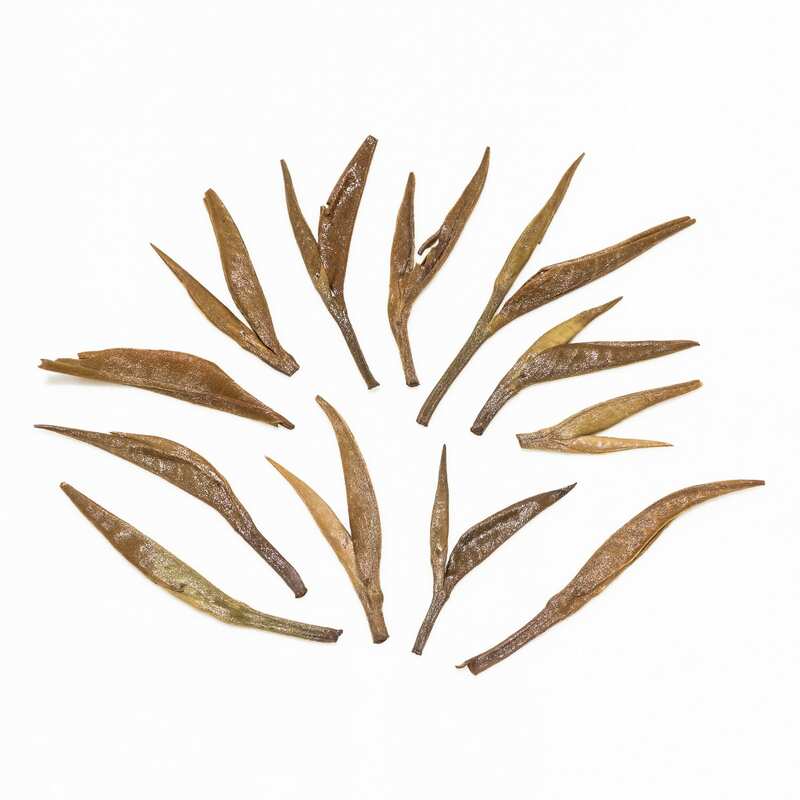 Unlike some other varietals, it is possible to see that this tea has very large leaves straight away – by the size of the long golden needles. These golden needles produce a very smooth liquor that has a slight malty aroma. The taste is soothing and satisfying. It has pronounced malty, mineral and sweet flavours with distinct notes of acacia honey and dark cocoa. It has no astringency or bitterness, making it very drinkable. The sweet aftertaste slowly gives way to some tartness reminiscent of good quality high percentage dark chocolate. Overall the flavours are complex and full while being very clean. It is best brewed at 90°C for 3-4 minutes according to your taste. It also will withstand multiple infusions extremely well. Dian Hong Jin Zhen Golden Needle black tea was first featured in our May 2018 Curious Tea Subscription Boxes.